My two-year-old is right in the middle of her Elmo phase. She requests Elmo’s world as her lullaby and begs to watch Sesame Street. Her birthday party was full of red and Elmo from the decorations to the party games, but I have to say these little cupcakes were my favorite part. They were so easy to make and were the absolute hit of the party. Add red frosting in a piping bag with a star tip. 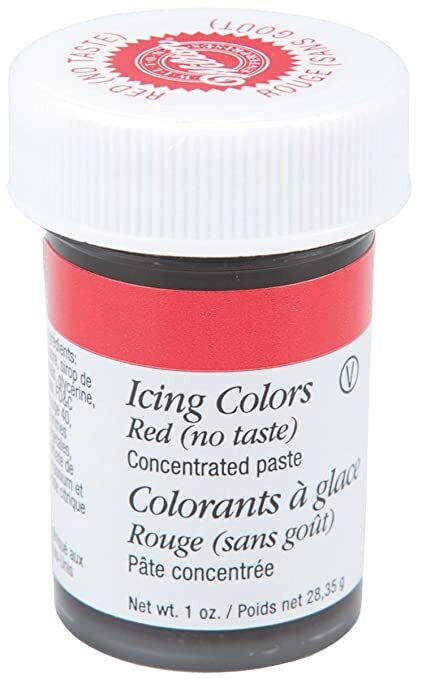 Make sure you if you make the frosting that you use a no-taste red formula for the dye, so you don’t end up with dye flavored frosting. Make short stars all over the top of the cupcake with the frosting to give Elmo his fur. 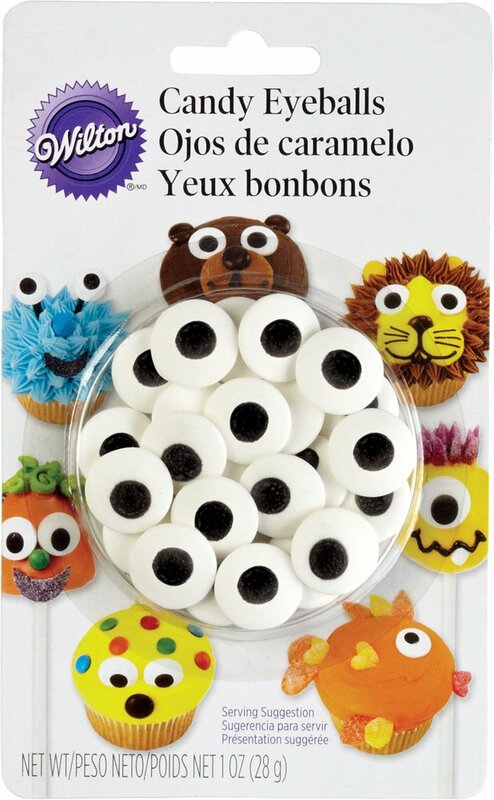 Add the eyes and gumballs and in just a couple of minutes, you have the cutest homemade cupcake, perfect for an Elmo party! This last week, my 2-year-old received some serious happy mail. She told me it was the best day of her life. 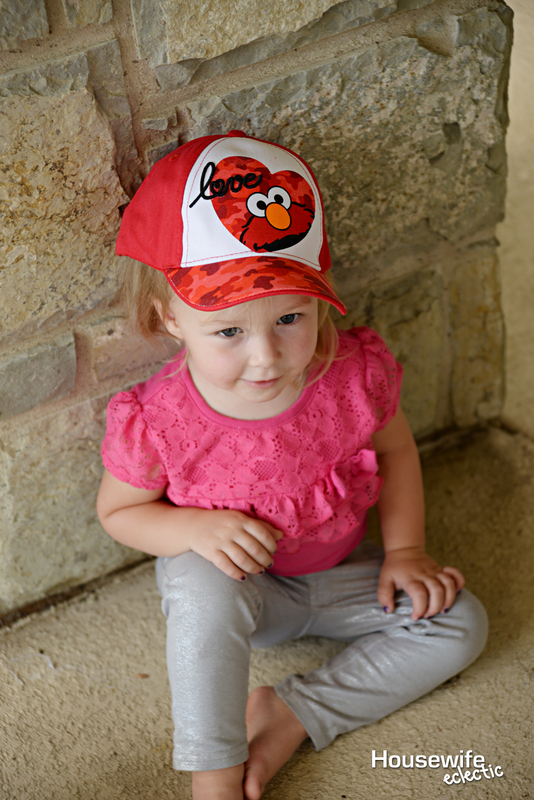 Along with the Elmo backpack and hat, that she can’t get over was the new Love2Learn Elmo Toy! This toy is so cool that my 7-year-old keeps playing with it too! The Love2Learn Elmo is synced with an app on the parent’s phone so that Elmo is completely personalized to each child. 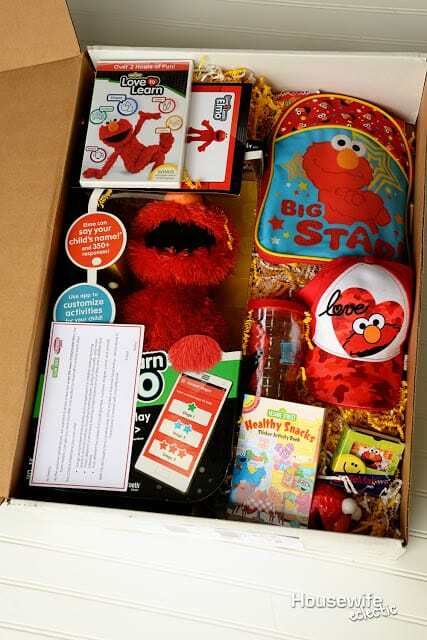 Elmo says the child’s name and parents can even have Elmo praise their child for cleaning up or brushing their teeth. Elmo is programmed to know much more than just the name of their new best friend. He knows their favorite colors, animals and favorite foods. 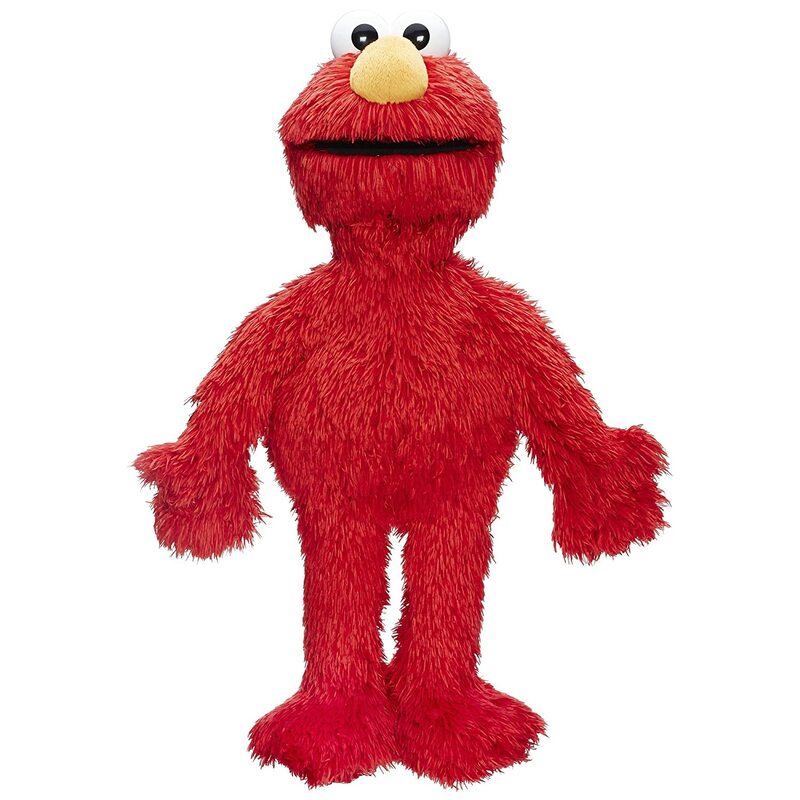 This Elmo is much more than a toy, he can be customized to your child’s learning level to help your child learn their letters, numbers, shapes, colors and animals. My daughter LOVES that he responds when you clap his hands, in fact, he has multiple sensors so he is really responsive. Tonight, we laid Elmo down in the doll bed by my daughter’s crib. We tucked him into the blankets and I sat at the door and listened to Elmo talk to her as she chatted about her day to him. I love that at this age, he isn’t a toy, he is a friend. This Elmo has only been in our house a few days and he is high up on the list of favorite toys. I am pretty sure this little friend is going to be on a lot of kids Christmas’s lists this year! Would your kiddos love this Elmo as much as mine do? 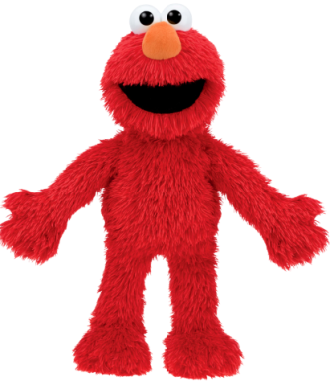 You can enter to win your own Elmo Love2Learn, using the Rafflecopter below! Elmo was my son's favorite character when he was little. These cupcakes are super cute! 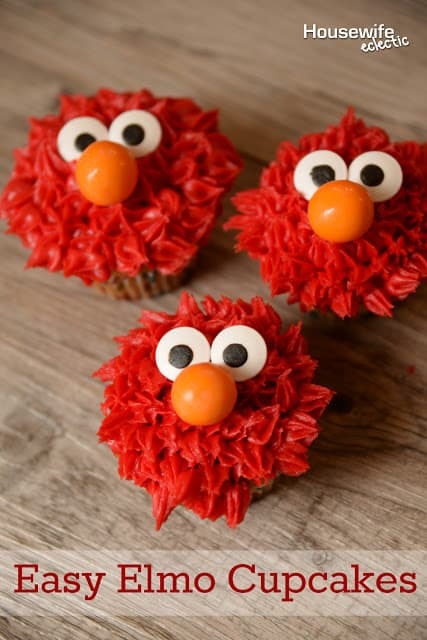 Elmo has always been one of my favourites and these cupcakes look so awesome, I wish I could have had those made for me when I was younger! I would have absolutely LOVED that. My son LOVED Elmo when he was younger. Even though he is almost 18, he still saved his favorite Elmo. Those cupcakes look amazingingly good! My little girl is 4 and still loves Elmo. She would love to lick all that red icing. She will only eat the top and then leaves the cake. Such a sweet tooth! My three year old loves Elmo! 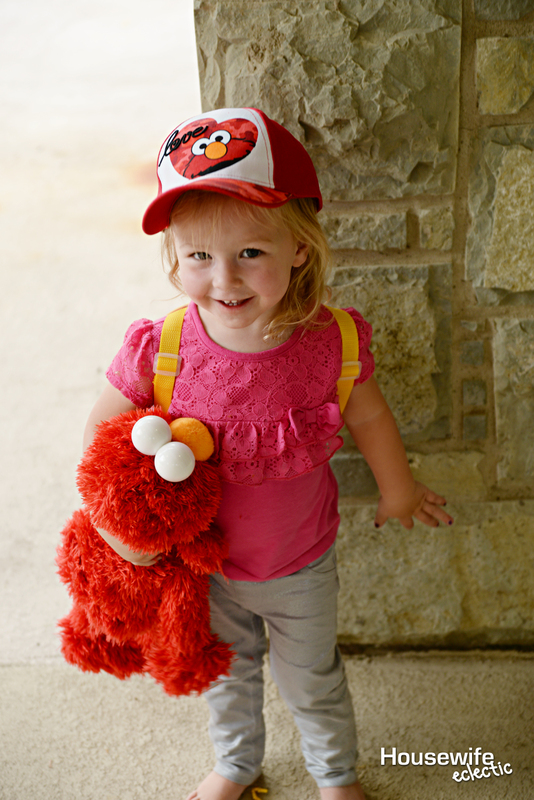 She just went to Sesame Place, and getting a souvenir Elmo and getting to meet him was her favorite part. I would give Elmo to my sister. Who doesn't love Elmo? 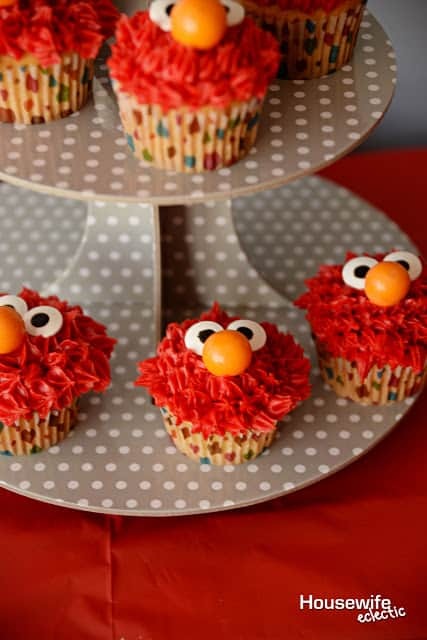 I would love to host an Elmo themed party and make these cupcakes. How fun is Elmo mail! Elmo is the best! Such a cool learning toy and the cupcakes are truly adorable! These are SO CUTE. It looks like the opposite of a pinterest fail. They look delicious. Way to go, girl! I love making fun cupcakes but I'm not sure I've ever made any as cute as these! They look so fun and almost too pretty to eat! Who dosen't love Elmo? Elmo is so cool and I adore these cute little cupcakes they are freaking adorable. My two year old would love this. I'm entering the contest for him. We are Elmo fans! He's a classic character. These are just the cutest little cupcakes ever! Definitely perfect for any children's party, just adorable! These cupcakes are SO cute! Perfect for a little one's birthday party – my kiddos love Elmo so I'm going to have to give these a try! The cupcakes are too cute, but I especially love the Elmo Gift box, I bet my DGD would love one too. Oh my!! These are too adorable. They turned out great! I especially love the Elmo gift box! Aw, these cupcakes are simply adorable! My daughter would be in awe of them as well. I'd give the Elmo Love2Learn to her. Thanks for the giveaway! How adorable! Now I want me some cupcakes! I think my son would absolutely love this — well he loves cupcakes regardless of the design haha. My kids absolutely loved Elmo when they were smaller. These cupcakes are so cute and they would love them. My 1 and 3 year olds would love it and I'm pretty sure my 8 year old son would get a kick out of it too! My one-year-old would love this! (And so would her brothers lol). Oh, these are darling! The star tip is my friend! lol I made some very cute cakes with that tip alone when I was a complete beginnger. Thanks for sharing at #HomeMattersParty! My kids are all grown up now but we all still love Elmo, who wouldn't?! Hello! Wondering what size gumballs you used? Only finding 1 inch ones online and wondering if those are too big. Thank you! I think those would work great!